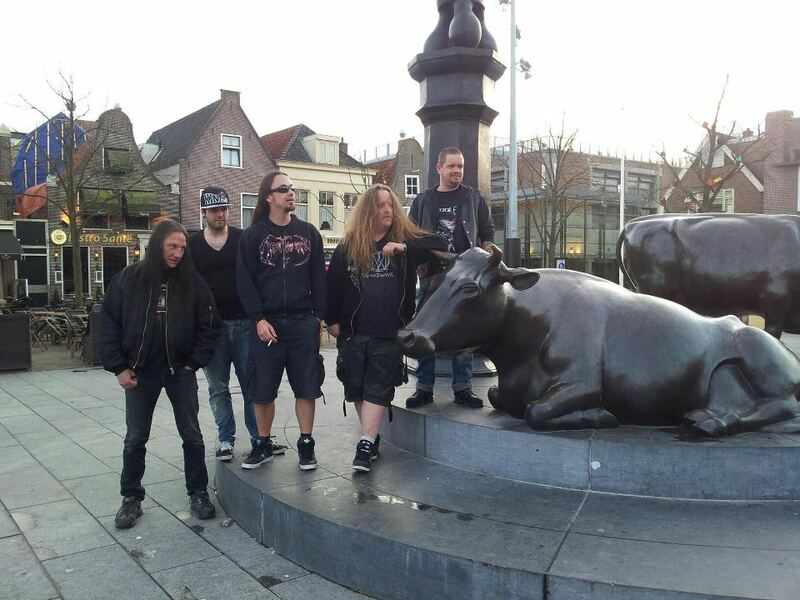 Well that was Purmerend, a big thanks to those who came to see us and thanks to the metal brothers of Violent Demise. A huge big hand goes out to our temporary drummer Arendo Marijnus ( second left on the pic) who learned our set in less than three weeks time filling in for Ciro Palma. 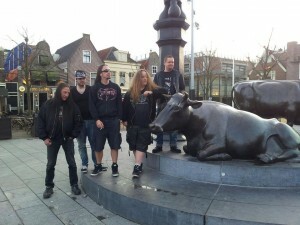 This is us at the Cowmarket in Purmerend in front of Rockcafe Satisfaction…..